She is a certified Hatha yoga instructor as well as a certified life coach. 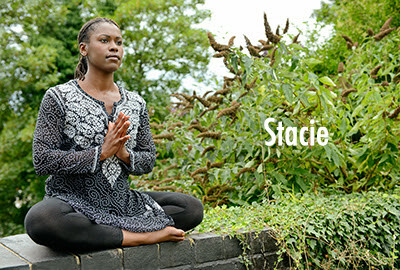 As a practitioner, she is dedicated to the lineages of Iyengar and Kundalini yoga. She travels to India every two years in order to study and honour the origins of the tradition. Mindfulness forms the foundation of both her professional and personal work. And yoga, in its entirety, signifies for her an art of living. OYA Retreats deliver an holistic movement and mindfulness practice to Black women and women of colour. On exclusive retreats in the UK and abroad, guests are offered room to explore, reflect, release, and renew. If you have any questions please spntact me, Thanks.